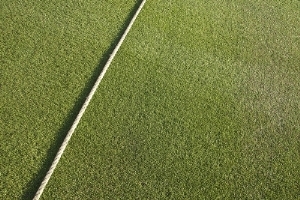 Our 24mm x 220m white polypropylene rope is first choice for use as boundary rope in cricket. White polypropylene rope is a traditional method of boundary-marking. Its an easy, cost-effective means with the benefit of good visibility for all on the pitch. Generally, 2 x 220m coils will be required to mark the average cricket field. Our 24mm rope price includes free next-working-day delivery to mainland UK, where orders are placed before 4pm. Please note: this item is approx 57 kgs in weight, and as such someone must be available at the delivery address to receive goods. Surcharges may apply to remote locations - please contact us for more information. 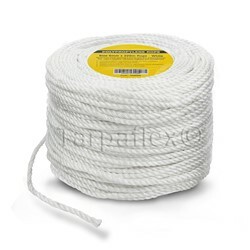 Our white 3-strand polypropylene rope is also available in 6mm and 10mm diameters.